1. 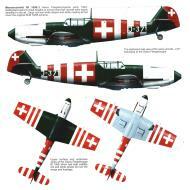 'J-318' of Fliegerkompanie 6 in Avenche during the Autumn of 1941. 2. 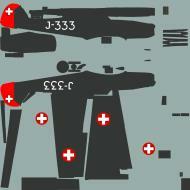 'J-326' of Fliegerkompanie 15 That crashed near Thun in April, 1945. 3. 'J-345' of Fliegerkompanie 21 based at Dübendorf in May, 1940. 1. 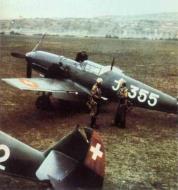 'J-333' of Fliegerkompanie 21 in Dübendorf during the summer of 1939. 2. 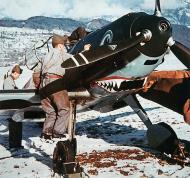 'J-350' of Fliegerkompanie 9 in Acenche during the summer of 1941. 3. 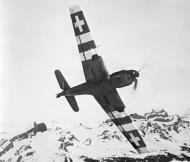 'J-371' of an unknown unit based at Interlaken in September, 1944.